Longview Aviation Services (LAS) of Calgary, Alberta, in cooperation with Viking Air Limited of Victoria, British Columbia, has launched the Viking CL- 415EAF (“Enhanced Aerial Firefighter”) Conversion Program. The collaboration between the two sister-companies on the CL-415EAF Enhanced Aerial Firefighter Conversion Program will provide an economic boost throughout Western Canada derived from job creation, aerospace manufacturing innovation, supply chain development, academic partnerships, and global export opportunities. 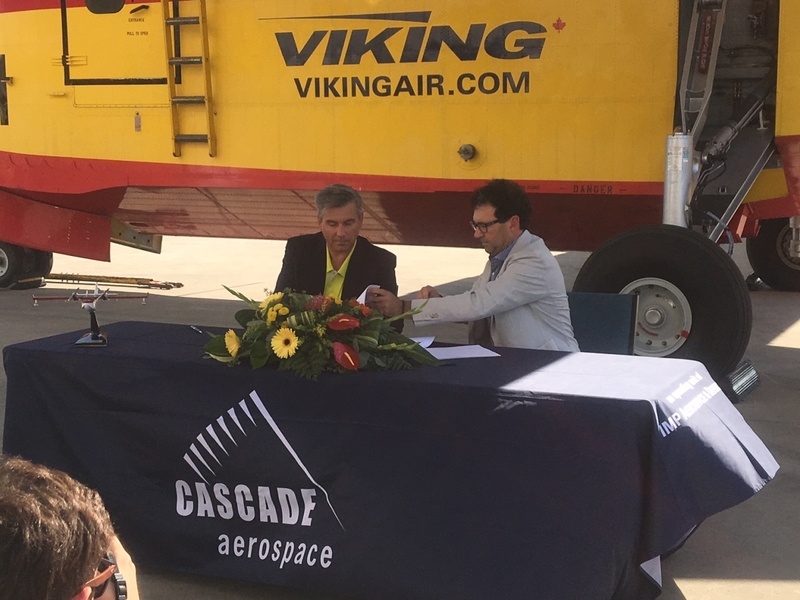 Further to the preliminary announcement made earlier this year, Viking Air Limited of Victoria, British Columbia, has now completed the acquisition of the Amphibious Aircraft program from Bombardier, including transfer of the Type Certificates for the CL-215, CL-215T, CL-415 aircraft and all variants to Viking. 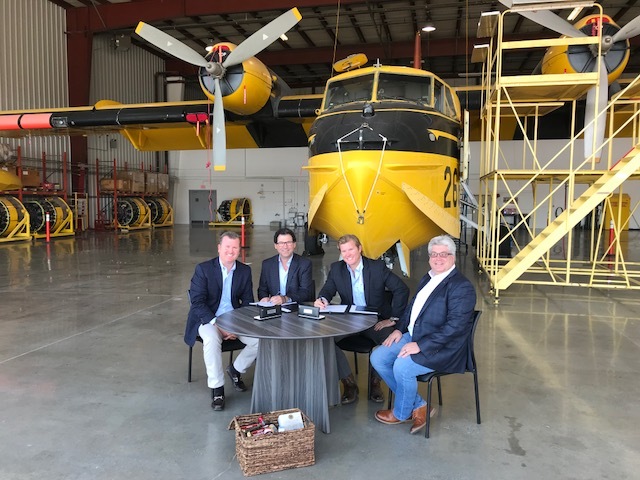 Viking Air Limited has announced the acquisition of the worldwide amphibious aircraft program from Bombardier (TSX: BBD.A) (TSX: BBD.B) (OTCQX: BDRBF). The amphibious aircraft program includes the Bombardier CL-415 water bomber and its variants, as well as the earlier CL-215 and CL-215T versions.